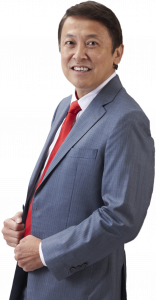 Datuk Wei Chuan Beng has decided to step down from his role as group managing director of REDtone International Bhd come Jan 1, 2017. In a filing with Bursa Malaysia today, REDtone said Wei, 51, will continue to remain on the board of directors of the company as a non-independent and non-executive director and will continue to advise and add value to the board. “The company notes that Wei will be focusing on his other private businesses,” it added. Wei has been involved in the information technology (IT) and information and communications technology (ICT) industries for 27 years. He began his career with Hewlett Packard Sales Malaysia Sdn Bhd in 1989 as customer engineer, being responsible for IT technical support and customer relations, before taking up a role as major account manager, managing sales for large and strategic global customers, such as Motorola, Nortel, Intel and Alcatel. Having gained wide exposure in the IT, electronics and telecommunications industries, he focused his attention on becoming an entrepreneur, said REDtone. REDtone noted Wei is the driving force behind the REDtone Group, where he is one of the founding members. “Under his guidance and spirit of innovation, the group, which started off with REDtone Telecommunications Sdn Bhd in 1996, is today an integrated telecommunications solutions provider, catering to niche market segments. “He continues to play an instrumental role in shaping the group’s strategic directions and policies to grow the business locally and internationally,” it added. Aside from making career out of ICT, he has also played leadership and advisory roles within influencer and strategic thought organisations such as the Association of the Computer and Multimedia Industry of Malaysia and the National IT Council. He is also an adjunct professor at University Tun Hussien Onn Malaysia. REDtone shares closed down 0.5 sen or 1.67% at 29.5 sen today, bringing it’s market capitalisation to RM220.62 million.